Flank Steak with sautéed cherry BBQ sauce takes just a few minutes to cook and will surely satisfy your palate. Sautéed cherries give to this recipe a touch of sweetness which will emphasizes the flavor of the beef. Cut the flank steak into 16 pieces, about 6-8" in length and ½" thick. If you need to cut the flank steak in half to make it more maneagable, do so. With a meat tenderizer, pound each steak skewer until it’s about ¼" inch thick. 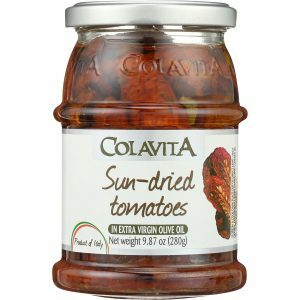 Season the beef with salt and pepper and smoked paprika and brush with Colavita Olive Oil on both sides of the steak. Take half of the sautéed cherry mixture and purée it in a blender. This is your BBQ sauce. Using a pastry brush, apply the sauce to both sides of the steak. Fire up your grill or grill pan, and cook over high heat for 1 to 2 minutes on each side. 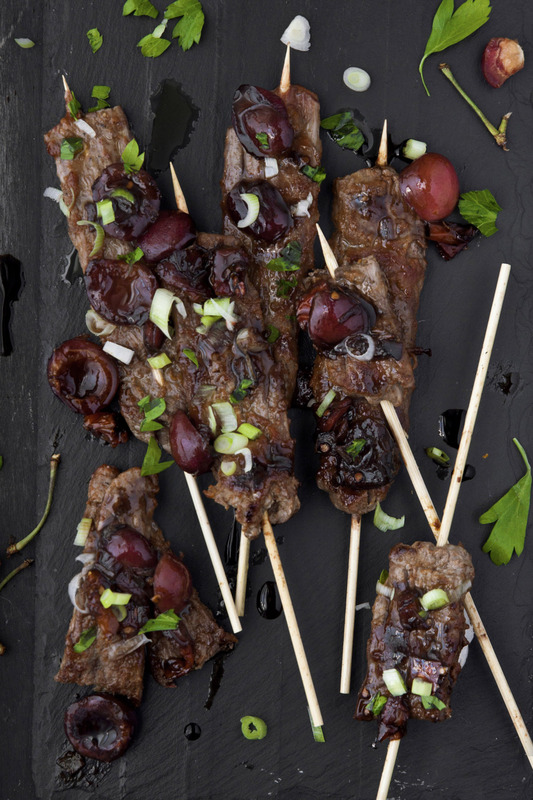 Let the meat skewers rest for 5 to 10 minutes, then spoon on the extra sautéed cherries, sprinkle with chopped scallions and freshly chopped parsley and serve! 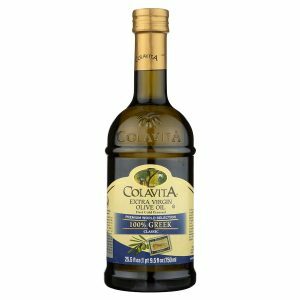 Heat the Colavita Olive Oil in a medium skillet over medium heat. Add the shallots, sun-dried tomatoes and a pinch of salt and freshly ground black pepper and sauté until the shallots are translucent (around 5 minutes). 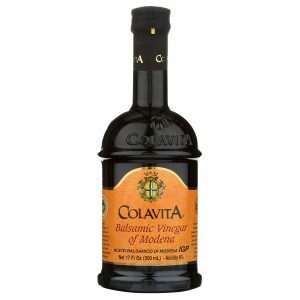 Add the sugar, stir, then add the balsamic vinegar and cherries and cook, stirring occasionally, until the cherries are tender and hot through and the mixture is thickened—about 10-15 minutes. While the sauce is simmering, stir it every now and then. Feel free to mash the cherries a bit, to break them up. Add the lemon juice, stir, then remove from the heat. Place the sauce in a measuring cup or bowl and set aside. You can make this a day ahead and store it in the refrigerator.